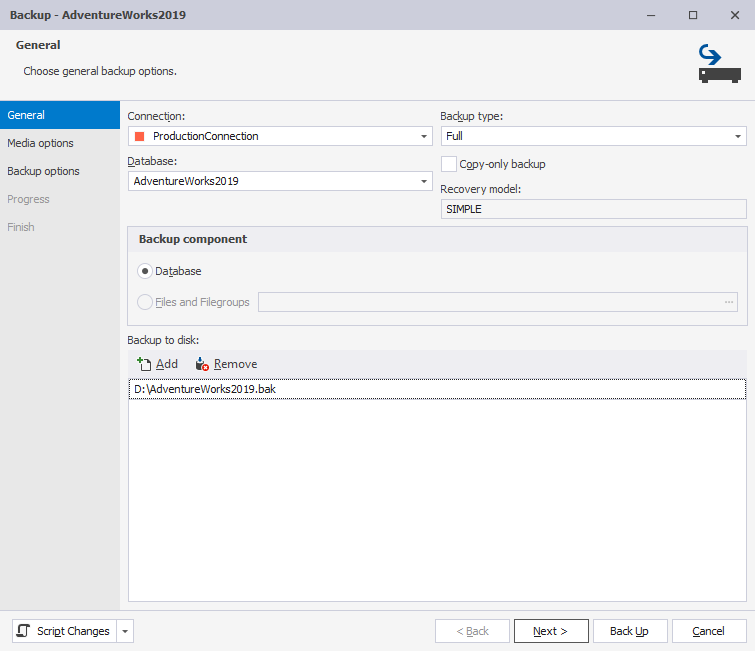 This page provides additional information about the SQL Server backup and restore tools provided by dbForge Studio for SQL Server. Backing up SQL Server instances is an essential task for protecting databases from critical loss and keeping data intact. 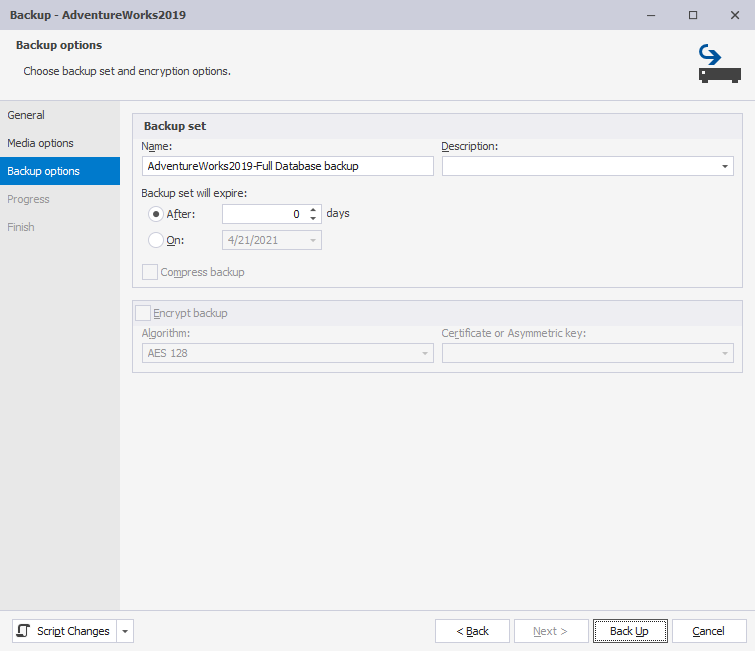 The Backup Wizard, established in dbForge Studio for SQL Server, is a comprehensive SQL backup tool designed to automate the backup process and perform it in few simple steps. Perform a full backup of SQL Server databases of any size. Generate a single backup file. Back up an SQL database from one server and restore it on another. 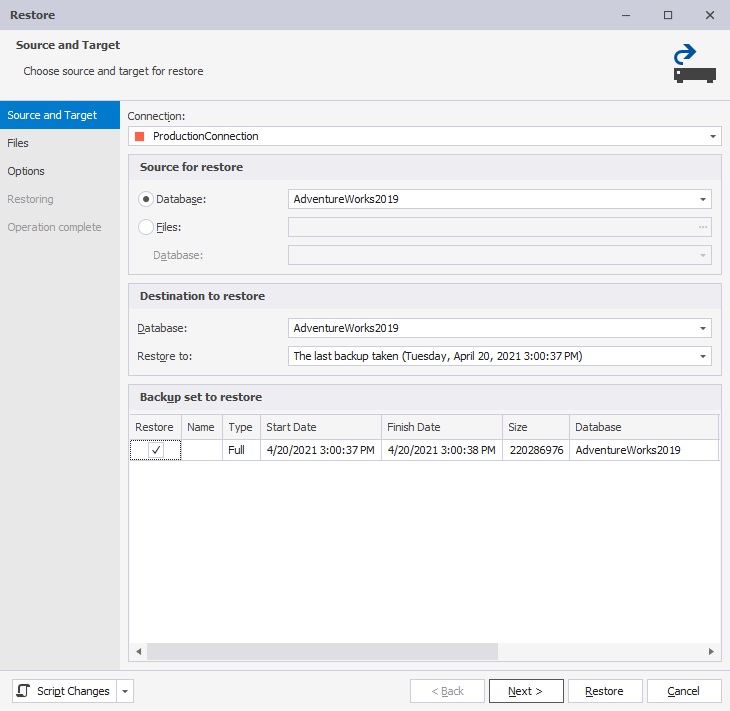 Take a full control under the SQL Server backup process and customize it to your needs. Connection and SQL database for backup. The type of backup you want to perform for the selected database. 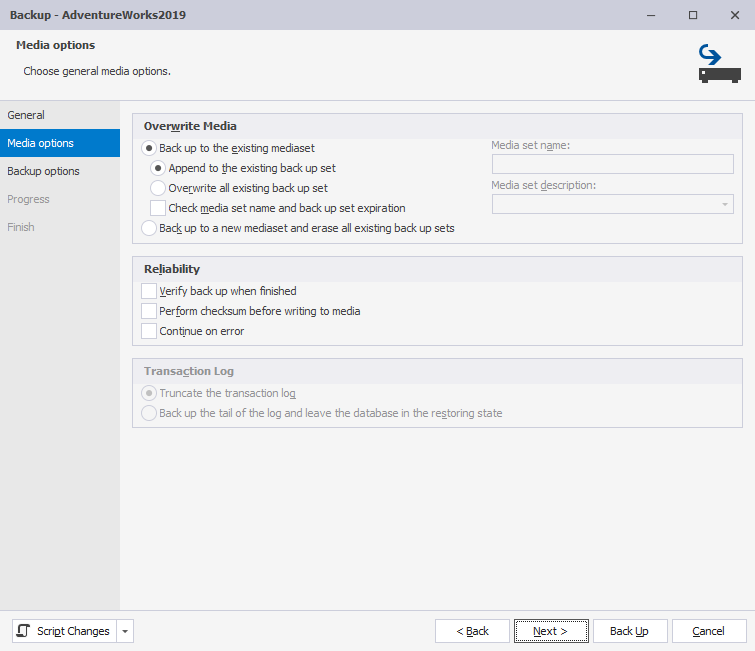 Overwrite media options (how the backup is written to the media). Reliability (how to handle errors during the backup operation). Behavior of a transaction log backup. Specify optional information about the backup set. Set up backup compression level.